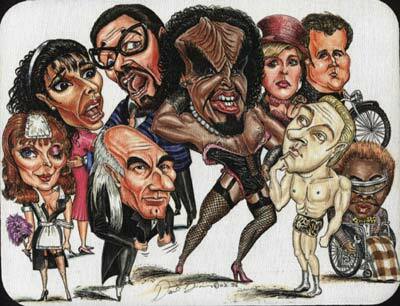 "Rocky Horror meets Star Trek"
Weird the things you can find that have a Rocky Horror link. We found this Mouse Mat in Forbidden Planet in London. The next generation crew of the Starship Enterprise seem to be having their usual problems with time warps, or is it a holodeck malfunction again? Either way it's a great idea for the next movie!